King's Day (formerly Queen's Day) is Amsterdam's biggest party and busiest day of the year. Expect big crowds and a lively atmosphere. It can get pretty hectic so to make sure everyone has an enjoyable King's Day, a few simple rules are in place. The Vondelpark tradtionally closes the night before King's Day and opens its gates at 09:00 on King's Day in time for the city-wide annual street market (vrijmarkt) to begin. The park is restricted to a children-only version of the markets, where kids perform and kick-start their career as entrepreneur. If you want to take part in the street market and sell second-hand household goods, etc, you can in theory do so anywhere in the city, provided you don't block the entrances to homes and shops which are open. However, there are some exceptions to this rule (mostly in the Centre, Zuid and West districts). A list of locations where the street market is restricted is published on the City of Amsterdam website Amsterdam.nl (all places listed under the header 'Niet toegestaan'), so you are sure you are setting up shop in a permitted spot. You may not sell alcohol in the street markets, but you may sell non-alcoholic beverages. You are also prohibited from selling perishable food products (anything containing meat, fish, or dairy ingredients). Such products may only be sold by licensed vendors. You are typically not allowed to have more than one alcoholic beverage in your possession at a time in public spaces. Six-packs and kegs of beer are considered more than one drink and may be confiscated. 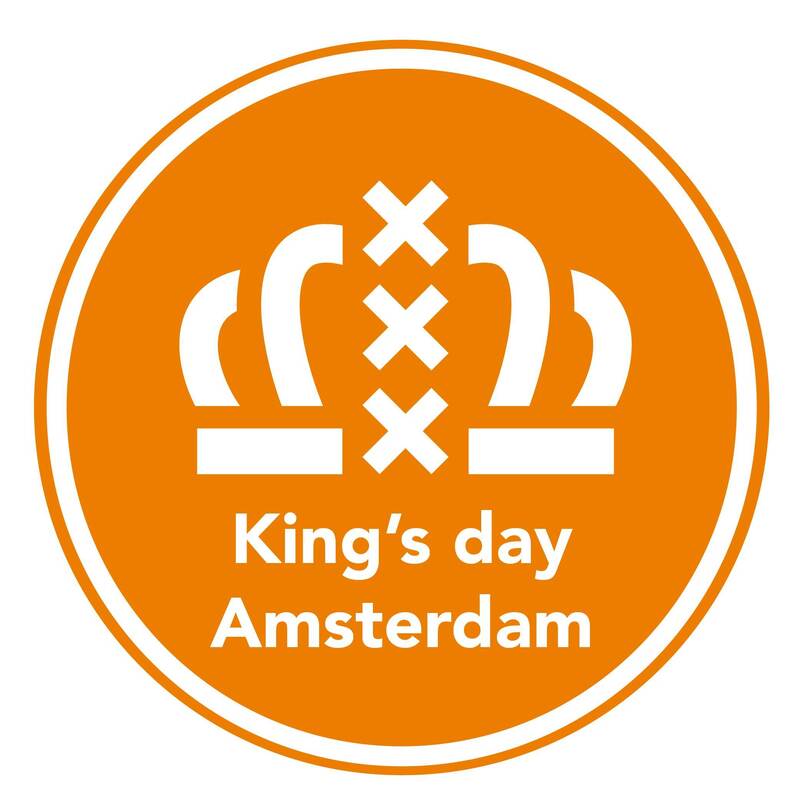 Alcohol is usually not allowed in trains and at train stations from 19:00 on the night preceding King's Day to 05:00 on the day following King's Day. Arriving by car is strongly advised against but, if you choose to do so, traffic is usually severely limited within the city centre from 07:30 onwards. Cars are typically blocked from the Prins Hendrikkade, Damrak, Muntplein and Rokin from 04:00. Public transportation is limited. See our Getting around page for more information. If you are planning to travel by boat, note that one-way traffic regulations are typically in effect on the Prinsengracht, Rokin, Grimburgwal, Oudezijds Voorburgwal, Oudeschans and Herengracht canals (keep an eye out for the signs). Boats longer than 10 metres are also prohibited from using these busy canals. See also the summary of King's Day boating regulations. The free market, outdoor music events and the sale of beer at outdoor beer taps typically ends at 20:00. It’s important to remain vigilant and aware of pickpockets while in Amsterdam. This is especially important while attending major events like King’s Day. Held on 27 April, King's Day is one of the biggest & most colourful festivities in the Netherlands. Find out what’s on! Below you will find a list of frequently asked questions concerning King's Day (formerly Queen's Day) in Amsterdam. Here is an overview of internationally-oriented LGBTI organisations in Amsterdam.